Unboxed Kent opened in Canterbury’s Conquest House in April this year. The historic site is best known for being the meeting place of the knights who killed Thomas Becket, Archbishop of Canterbury. 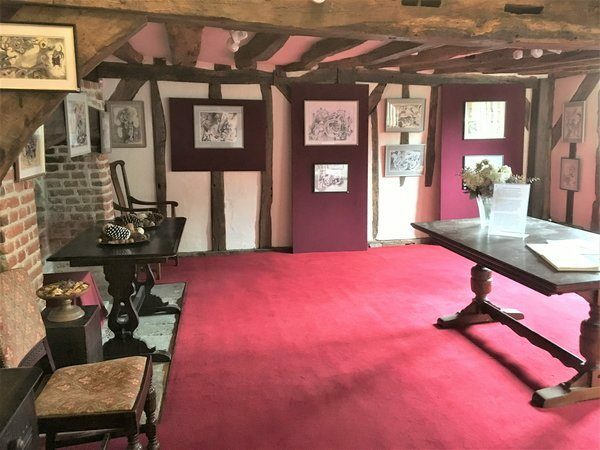 As you walk into the wood beamed house, you might think you’ve travelled back in time. Large jars of beans, tea, coffee, banana chips, desiccated coconut and other dried goods line the walls, wooden crates of fresh fruit and vegetables displayed in front of a large (unused) fireplace with a 17th century coat of arms above it. 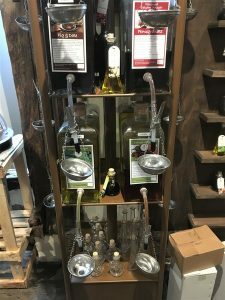 You can also find a selection of herbs and spices (some grown in pots in the back garden), large colourful glass vessels of flavoured oils and vinegars, next to which you will find refillable flasks, which gives the place an almost magical aura. 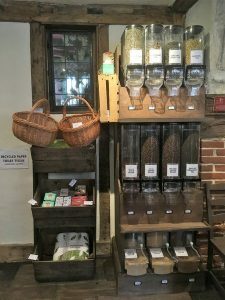 What really sets this local store apart is that it is driven by its mission to be waste free and eco-friendly. It is mindful of its impact on the world and also on the local community. The staff is very friendly and approachable and customers are encouraged to suggest new products which they would like to see in the shop. It sources its products locally when possible, supporting the community it serves. This helps to incorporate the shop in the community and provide a level of communication and friendliness not possible in chain supermarkets. All food sold in the shop is vegan – even the dog food. You can also get eco-friendly cleaning products, natural toiletries and soon fabric nappies. If you wish to do your shopping there, you can bring your own containers or get a weaved basket or brown paper bags to carry it in. Customers can take as much or as little produce as they want, not being constrained by package sizes, weigh it, print a label and pay by weight at the till. Prices are comparable to those in a supermarket. Setting it up in Conquest House has many benefits. 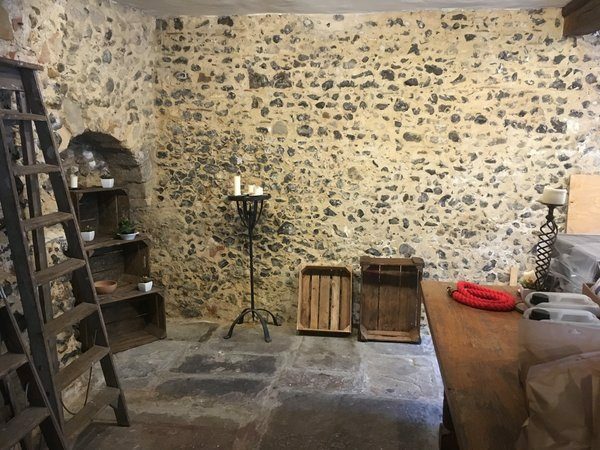 For a small fee, tourists visiting Kent can gain access to the interior and see where the knights met, which helps the development of the shop and spreads word about its existence and about waste free living. The building has been a place of revolutionary change for the city before, as the murder of the archbishop was a turning point in its history. Canterbury subsequently became a place of pilgrimage to pay homage to the canonised Thomas Becket. Conquest House is a grade II listed building with remains of its 12th century origins still visible in the undercroft. Above, there is a 14th century gallery, though the facade is Tudor or Jacobean. Though it is still rare to find such shops, we hope that in future we will all have the option of shopping waste free and we wish Unboxed Kent all the best in the continuing development of their shop. If you would like to find out more, visit their website or follow them on Facebook.